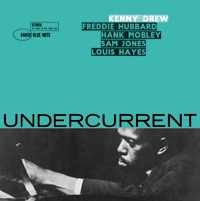 The sixth release from our Blue Note vinyl series, this session from 1960 showcases the always tasteful piano of Drew, plus cohorts Freddie Hubbard, Hank Mobley, Sam Jones and Louis Hays. An atypical quintet outing where the piano does and will not take a back seat to front-line horns. It's Kenny's date and they are HIS accompanists. But make no mistake, this group of Blue Note All-Stars were all on the same wavelength, with egos checked at the door, this December night at the Van Gelder studio. Great ensemble arrangements led by Drew's majestic touch on the keyboards. The result: another fantastic Blue Note stereo recording. Recorded in New York City in 1960.